From February 12 to March 2, 2019 international children's football tournament «Our future» will be held at the Minsk Football Arena. 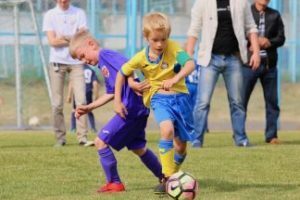 140 teams from different countries, including Italy, Russia, Ukraine, Lithuania, Latvia and, of course, Belarus, will gather for the most massive children's football tournament in Belarus. Football tournament will be held between teams of 2007-2011 years of birth.